Al G. Barnes (birth name Alpheus George Barnes Stonehouse, Sr.) was born on September 1, 1862 on a farm in Lobo, Ontario, Canada, to parents Thomas S. Stonehouse and Sarah Barnes. Not wanted part of the farming life, young Al ran away from home. He first peddled goods in the street, then he saw a demonstration of Edison's motion picture machine. Fascinated by the new technology Al purchased one of the projectors and a phonograph. He load up a horse drawn wagon and began showing movies in small towns. In 1895 made his way to Glenwood Springs, Colorado, where he met Dolly Barlow. In 1890 they were married, they then sold Dolly's farm foe $ 2700.00 and purchased several dog and pony shows. They combined this equipment and opened a small circus. This was the beginning of the Al G. Barnes Circus, the small show quickly turned into a large railroad circus. Barnes was known to be quite a ladies man and is said to have had many affairs resulting in Dolly filing for divorce in 1916. The proceedings drug on for several years during which time Barns became involved Babe Eckhart, who was the calliope player on his show. In 1919, after Al refused to marry Babe, she shot and killed herself on the steps of Al's private railroad car. Barnes was married three times in his life to Dollie Barnes, Jane Barnes, Margaret Goldsboro Barnes. 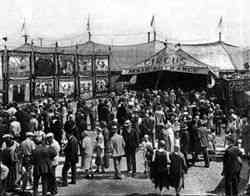 In 1914 to 1919 the circus wintered in Venice, CA., then in 1920 Al bought 120 acres between Venice and Culver, CA. where in 1923 Barnes opened a zoo, the zoo was a combination zoo, roadside attraction, featuring sideshow and circus acts and also served as the circuses winter quarters. The zoo soon became a Venice landmark. 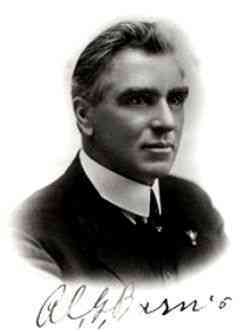 In 1929 Barnes sold his circus to American Circus Corporation owned by Jess Adkins and Zack Terrell. Two years later on July 25, 1931 in Indio, California. Al G. Barnes (Alpheus George Barnes Stonehouse) died of pneumonia.